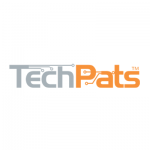 TechPats has excellent expertise in Bluetooth technology, including expertise in the IEEE 802.15.1 standard, BLE (Bluetooth low Energy) and the latest standard Bluetooth 5.0. We have a number of technical experts with over 25 years of experience in R&D, product development and development of standards. We also have testing capabilities that allow us to conduct testing both in a lab environment (captive testing) and in live commercial networks. Other more traditional reverse engineering capabilities such as software RE and circuit extraction are also available when testing solutions are not sufficient. Figure 1 shows an example test setup for Bluetooth testing. 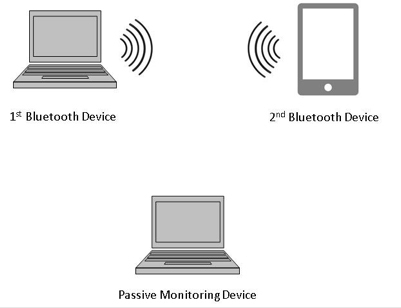 Two Bluetooth devices are connected to each and a monitoring laptop is capable of monitoring the communications between the Bluetooth devices. A second approach for conducting Bluetooth testing involves the use of an instrumented monitoring device. The device has special software and possibly special hardware for monitoring Bluetooth communications. Figure 2 below show an example setup using an instrumented monitoring device.